We get a lot of questions when we tell people that we make fancy piñatas as a business. After they realize we aren't joking, they usually get around to asking us if we fill them with candy. We don't fill them with anything actually, and we think there are so many things you could fill our piñatas with. Fancy piñata fans, it's time to get creative! 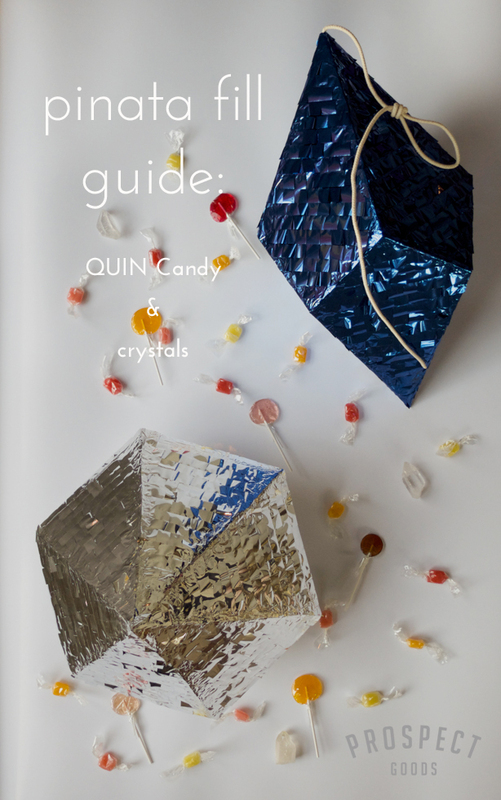 We like to fill our piñatas with our favorite goodies, like QUIN Candy and Smith Teas. We would love to hear what you fill your piñata with!